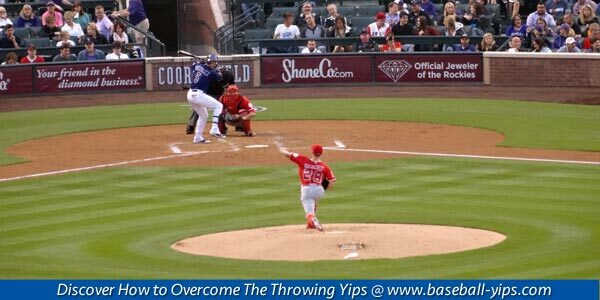 You are here: Home / Baseball Yips Articles / Do You Have The Throwing Yips? How Do You Know if You Have The Yips? 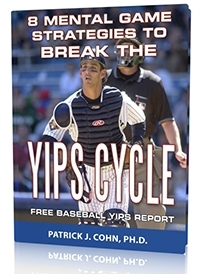 Not every baseball player will get the throwing yips during his career. However, baseball players will have ups and downs during their career or experience a throwing slump, which may not be caused by the yips. 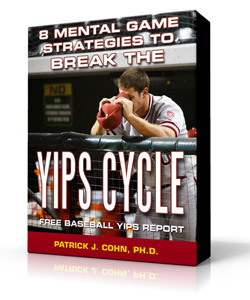 How do you know you have the throwing yips and you are not in a temporary slump? First, if you lose a bit of control with your throwing, you should not assume you have the throwing yips. What might the throwing yips look like if you have them? Many ball players that have had the yips describe like they are out of control–someone else is controlling their throwing action. There is a loss of control and you can’t hit your target. Some plays might describe the yips as if they are jerking or flinching their pitching or throwing motion especially when they get close to release. The yips often comes with muscular tension when you feel tight in the arms and do throw the ball freely. The biggest sign you have the throwing yips and are not in a slump is when you can perform well in practice, but your action changes in the game. You lose control and freedom of movement in the game. 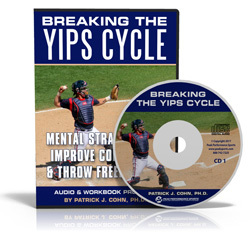 The yips can start with anxiety about throwing poorly or worry about embarrassing yourself with a bad throw. Related Article: What Are The Throwing Yips? The problem can often get worse because you think the solution is to work on your mechanics and attempt to make positive changes to gain control. Making big changes can dig you deeper into a hole because you start to make unnecessary changes in your mechanics. This leads to a lack of consistency and now you are searching for more answers. You then have less control of your throw and feel more out of control with your action–all of this leads to the throwing yips. Slumps in baseball come and go, but when you have the throwing or pitching yips, you are stuck in a vicious cycle of fear–lack of control–searching for solutions. Do you (or your ball player) throw accurately in practice, but lose control in games?